small air pockets that make a big difference! Wraptech® manifests the expertise of Sempatap® in anti-slip solutions, insulation, protection and latex-based finishing products. Wraptech® mixes the latex and traps air in its alveoli. 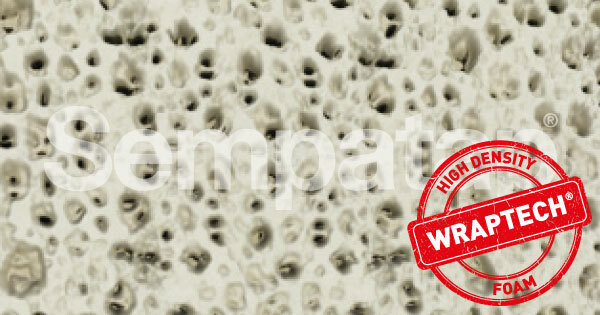 Wraptech® foam is used to cover all flexible substrates. The multiple uses of Wraptech® latex give it real added value for industrial customers wanting to protect, coat, complex, insulate, etc. using latex. Another remarkable point: Sempatap masters all non-latex mixing techniques, and provides industrial customers with tailored and/or co-development solutions using latex, acrylic and polyurethane foam.